Founders from 7 Japanese startups stand before Montjuïc, the main venue for 4YFN. 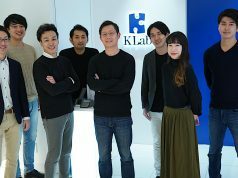 Seven Japanese startups announced today that they will jointly exhibit at 4YFN, a startup showcase event taking place alongside Mobile World Conference in Barcelona, which kicked off today. 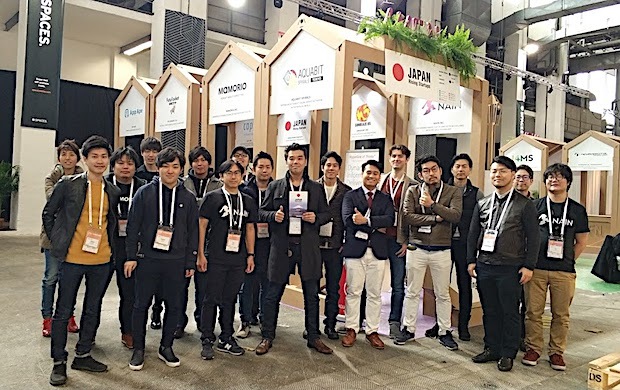 They will exhibit in form of a joint pavilion named Japan Rising Startups from Monday to Wednesday at Montjuïc, the 4YFN venue in Barcelona (Note that the MWC event will be open until Thursday). The participating startups are Aquabit Spirals, Amegumi, Capy, Nain, Fuller, FutuRocket, and Mamorio. This was primarily realized thanks to the effort of Aquabit Spirals, which was chosen as one of the Top 8 finalists at 4YFN Awards IoT last year, with back-up from ACCIÓ Tokyo-Catalonia Trade & Investment. The event literally is intended to find and raise together the great startups which may rise to the top of the world in four years’ time. Marking its fifth edition, this year’s 4YFN was organized by renowned Israeli angel investor Yossi Vardi, who has been also instrumental in hosting DLD in Tel Aviv plus InnovFest Unbound in London and Singapore, in addition to other global startup events. Founders from 7 Japanese startups stand before the Japan Pavilion in the 4YFN main venue. We have seen several cases where Japanese startups receive assistance from METI (the Japanese Ministry of Economy, Trade, and Industry) or JETRO (the Japan External Trade Organization) to exhibit at major startup events like TechCrunch Disrupt SF and SXSW Interactive. 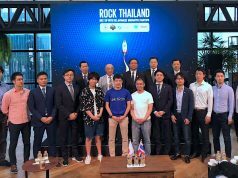 However, this time might probably be unusual in that Japanese startups are exhibiting jointly as a pavilion representing the country on their own. 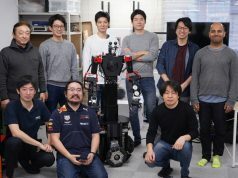 Unfortunately we could not get support from public organizations or private companies in Japan this year because it is the first year to start this initiative. However, I hope this will gain much attention and provide vitality to the Japanese startup scene. If so, we can provide from next year more attractive assistance options for Japanese startups that feel the need to become even closer to global market.